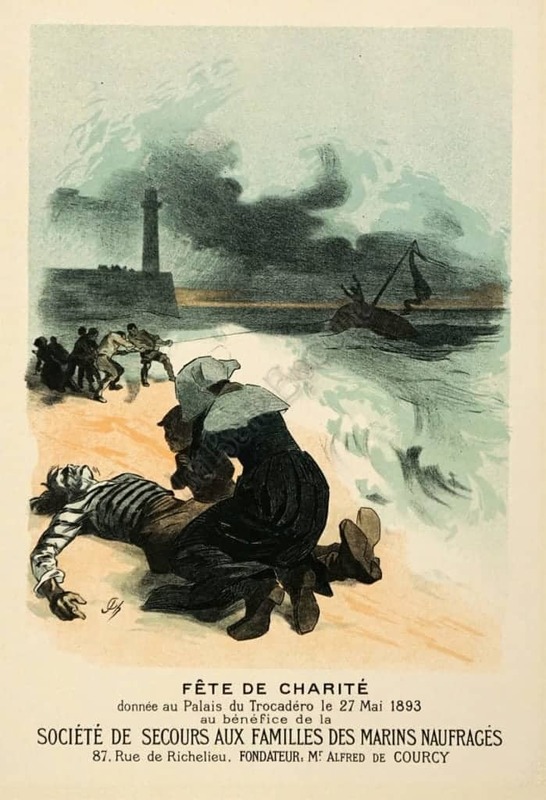 A deeply disturbing poster, done in somber tones, that shows a young boy and mother crying over the body of a shipwrecked sailor, presumably the boy’s father. Behind them rescuers work to save the men from a shipwreck, while the sea rages mercilessly. It appears to be the second half of the story, from another poster for the same charity by Cheret, see PL.89. This design is in stark contrast to the bright dancing beauties we expect from Cheret.